malware detection powered by advanced deep learning neural networks. 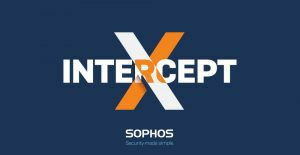 The Sophos boss said the new product is more effective than traditional machine learning, stating that the deep learning gives Sophos Intercept X the highest detection rates and lowest false-positive rates in the next-generation endpoint security market. First launched in September 2016, Intercept X has been proven in numerous organisations worldwide. Pricing and licensing details are available from registered Sophos channel partners worldwide. Sophos is a leader in next-generation endpoint and network security, and as the pioneer of synchronised security develops its innovative portfolio of endpoint, network, encryption, web, email and mobile security solutions to work better together. More than 100 million users in 150 countries rely on Sophos solutions as the best protection against sophisticated threats and data loss. Sophos products are exclusively available through a global channel of more than 30,000 registered partners. Headquartered in Oxford, UK, Sophos is publicly traded on the London Stock Exchange under the symbol “SOPH”, Dan Schiappa.